If you want to ask for a raise at work, you may find yourself filled with some apprehension…and for good reason. Asking your boss for a raise implies you believe you aren’t being fairly compensated for the work you’re performing. It means you’re literally assigning a dollar value to your performance, which is often an extremely nerve-wracking experience. In saying you deserve a raise or promotion, you’re also sending the message to your boss that you are worth more than you’re being paid. This puts you in the vulnerable position of learning the hard truth about how your performance is viewed. The first question to ask yourself before approaching your boss is: have you really earned the raise? Many times, the fear we feel has to do with our own perceived inadequacies. The way we ask for a raise has changed since our parents and grandparents were in the workforce. Today’s workforce, particularly the youth, often feel entitled to a raise with less effort than ever before. Today’s workers may feel they deserve to earn more money or receive a promotion. Why? Because they’ve earned it? No, because someone else in their department received a raise or because they hit an arbitrary time marker (six-months, a year, three years) and feel they deserve the next step. When this is the case, there’s no wonder the “ask” is fraught with fear. The workforce has changed greatly over the last few decades and not only because of technology. Those who were raised by WWII parents or Depression-Era parents were raised in households where we were constantly inundated with fear, survival, and scarcity. After all, our parents had been through a war and understood what extreme poverty and scarcity was like. As time moved on, life moved more and more toward the cities. People experienced a greater wealth than ever before. While savings became more common, so did debt. Prior to the 1950s and 60s, few people would even consider a mortgage. Now, it’s very rare to find someone who buys a house outright. With this change also brought a changing labor market. Women became an integral part of the workforce. Teenagers no longer worked on the farm until adulthood and then carried on their parents’ legacy. Now they were expected to enjoy their youth and attend college before starting their career and family. While some aspects of this social change brought stability, other aspects caused a shift in values. Baby Boomers and now Generation X and Millennials face more kinds of job opportunities than were ever imagined before. You are no longer doomed to follow in your parents’ footsteps. If your father was a carpenter or worked in a mill, it’s no longer your destined career path. With the Boomers generation, came a wave of people earning more money than their parents did. This set the expectation that we deserve to earn more money than our parents. We believe we’re supposed to get incremental raises. Our salary is supposed to continue to move along an upward trajectory. In our parents’ and grandparents’ generation, the goal was to earn your age in thousands; a 40-year-old making $40,000/year was considered highly successful. Now, $40,000 is often a low starting salary in most industries—suited for someone who just walked out with their diploma. The current workforce has the expectation of making more money than their parents. In fact, they feel as though they should be paid more money by right. But many of them haven’t developed the needed skills, nor have they resolved the fears involved in asking for a raise, presenting, and displaying their value to the company. They’re under enormous pressure from their parents, and society in general, because that’s the view they were raised with; yet they can’t overcome their fear of asking. When is the Best Time to Ask for a Raise? Studies of the workplace and compensation show that the best time to negotiate your salary is when you begin a job. While this may seem disheartening, it makes sense. For most employers, salary and compensation is set at the least amount to elicit the maximum performance. You have the most flexibility when your potential boss is getting you to sign on. Beyond your start date, you’ve already agreed to work for a certain range. You’ve assigned yourself value. But of course, many people take a job with the expectation of incremental and cost of living raises throughout their career. They may also hope for promotions and growth within their job as they work their way up the ladder. With each step on the rung, it’s safe to assume you can negotiate a higher salary. An interesting phenomenon that’s quite common among today’s employees is that the people who ask for a raise are often not the ones who “deserve” it. Many times, those who push themselves harder and set broader higher goals are constantly measuring their performance. They may not feel they’re entitled to a raise, because they still see themselves as stretching to reach their next goal or milestone. Not in all cases of course, but in some, employees overrate their performance and expect a raise. If their extra performance was notable, their boss would have compensated them for it. Of course, there are bosses who are clueless, stingy with raises, or who leave salary to HR. In these cases, a request is often necessary (let’s face it, most bosses won’t notice your frustration with compensation unless you bring it up). If you feel your performance merits a raise or a promotion, you should document your value to the company in measurable data. How many new accounts have you brought in? How many new duties did you take on? If you’ve been engaged in professional development, and how are you applying your learning to your job? How are you taking the company’s vision and making it your own? In short, look at the value you’re bringing to the job. Not your longevity in the position and certainly not what those around you are earning (unless you feel there’s discrimination or an HR issue that needs greater attention). Have you earned the raise, or do you simply want the raise? After exploring and documenting your value, your fears should be alleviated. If you’re still apprehensive about asking for the promotion, it’s time to address what’s going on inside of you that’s getting in the way of asking for the raise. This puts us in a vulnerable emotional position. Our feelings could easily be hurt. After all, what if we’re not deemed as valuable as we’re perceiving ourselves to be? Different personalities may also view the situation differently. Those who are outgoing and enthusiastic may see their presence as a blessing to the organization. They may easily believe they deserve more and are quick to talk it up. While this type of energy is often noticeable, many employers will also want to see a strong follow through to back up this value. The challenge for this personality is to learn how to offer up the proof to their request. Other less verbal, less outgoing personality types may struggle more with the idea of asking for a raise. Those who are more supportive and who prefer to take a behind-the-scenes role, often struggle to appreciate their own value. To ask for a raise they must be driven by a very strong personal need. While this is a good impetus for examining your value to the company, most employers will need to know more about what you plan to do for the company than what the raise will do for you personally. Make your case, focusing on your indispensable value to the organization rather than focusing on how you need the additional compensation. Goal-oriented individuals often think there’s another hoop they need to go through to get their raise, and they’ll only act on a certainty. They’ll ask for a promotion when they know they’ve fully earned it. Similarly, careful, analytic types often have extremely low-risk personalities, and they’re typically so buried in their work they may not even think about the raise at all. Again, only if they’re driven by a strong personal need will they muster up the courage to make the request. This is where their analytical personality will help them document their performance. Depending on your personality type, you may find the conversation more difficult and intimidating. It’s important to always bring your focus back to the main question. Do I deserve a raise? Has my performance merited a promotion? If the answer is no or you still aren’t certain, ask yourself what personal goals you should set to bring you to a comfortable place. Do you need additional training? Professional development? A higher sales goal? On the other hand, if the answer is yes, you do feel your performance merits a promotion or raise, and you’ve explored the question thoroughly, you may way to practice the conversation with a trusted ally. Go through the documentation and present your case. Troubleshoot worst-case scenarios. What will you do if your boss says no? How will you handle any additional work requests or duties contingent on your new position? Once you’ve examined the topic openly and honestly, you’ll feel less fear moving forward. Asking for a raise is a vulnerable position, but if you are truly performing well you’ll feel more confident. Focus on learning and growing in your position each day. Take on new tasks and opportunities to push yourself further in your career. 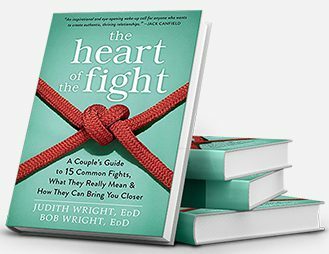 For more on how to maximize your potential at work, visit the Wright Foundation. We also want to announce the availability of many of our courses for download. Don’t miss out on the special introductory price for many of our courses and lectures. Explore our courses, or join us for an upcoming free networking event to learn more. “I Don’t Love My Job"